This is ReachMD. Welcome to this special series, Rethinking Migraine, sponsored by Lilly. On this episode, titled How To Utilize Headache Screening Testing, we will hear from Dr. Stephanie Nahas, the Director of the Headache Medicine Fellowship Program at the Jefferson Headache Center in Philadelphia. 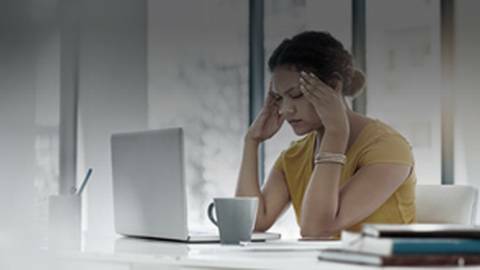 Many people believe that migraine is just a headache, so how do you help to legitimize it as a real disease for both your patients and for your peers? Well, the first step is defining it as a true neurologic disease. While our understanding of migraine and its pathophysiology is still evolving, there are several things that we know about it that point to it being a true neurologic disease. Well, the first step is defining it as a true neurologic disease. While our understanding of migraine and its pathophysiology is still evolving, there are several things that we know about it that point to it being a true neurologic disease. Many patients with migraine don’t understand this because it’s never really been explained to them, so taking just a few moments to legitimize that migraine is a neurologic disease with real brain changes helps to open up that conversation. Patients appreciate when you gauge their understanding of what migraine is, not just what it means to them. Many patients with migraine don’t understand this because it’s never really been explained to them, so taking just a few moments to legitimize that migraine is a neurologic disease with real brain changes helps to open up that conversation. Patients appreciate when you gauge their understanding of what migraine is, not just what it means to them. Asking patients about the impact of migraine on their lives and their livelihood is also very important. It helps to align this doctor-patient therapeutic alliance, that we’re in this together and we care about all aspects of how migraine affects the individual and their entire social network. So asking about the effects on work, school, home life, enjoyment of recreational activities, this is all very important and, unfortunately, overlooked all too often. Once you start that conversation, you can be surprised about how much patients will open up about various aspects of living with migraine that they have never been able to discuss with anybody else because they thought that nobody cares. Many patients feel isolated by the stigma of migraine, but as a physician, you have the ability to change that. Here’s how. Physicians play a pivotal role in legitimizing migraine with patients and peers. That’s why Dr. Stephanie Nahas, Director of the Headache Medicine Fellowship Program at Thomas Jefferson University, shares how physicians can better assess the impact of living with migraine through the use of various dialogue techniques.